"A Brief Account of the Life of John CASSE"
Maspeth Kills, L. I., Windsor and Simsbury, Conn.
A. P. CASE, OF VERNON, N. Y.
Elizabeth seems to have made a sure thing of it. The inventory appended to the will shows him possessed of seventeen parcels of land, a corn mill and a saw mill. The lands and personal property were divided up among his sons and daughters. A codocil to his will, made in 1704, just before his death, revoked the former gift of the homestead to his youngest son Joseph, "because he has declined his due respects service from me in this time of distress and sickness, contrary to my expectation and agreement." Joseph must have been a bad boy (then 30), and that must have been the reason why he was afterwards sent to the General Assembly for twenty sessions. Legislatures have been crowded with bad boys ever since. Of the annuity to his wife Elizabeth, fifteen shillings each was to be paid by his sons William, Samuel, Richard and Bartholomew, and two pounds by his son Joseph. "The mark I. C. of John Case, Senr." The witnesses are: John Slater, Clerk; William Gillett, Elias Slater. From the form of John's signature, the inference is that he could not write. It is still an open question if John Case had another brother. The only evidence known to the writer is that presented in Phelps' " History of Simsbury," as compiled from private and public records in Windsor: "Richard Case resided at East Hartford, and afterwards, it is supposed, removed to Simsbury, though this is uncertain. His wife was Elizabeth, daughter of John Purchase, one of the first settlers of Hartford. Richard died in 1694. His children were Richard, John and Mary. He is supposed to have been a brother of John Case. Mary married Joseph Phelps." It may be noted that the names of Richard's children all appear in John's family. It also appears that Joseph Phelps' second wife was Sarah, daughter of John Case, and his third wife was Mary, daughter of Richard Case. We know nothing more of Richard or his family. To get an idea of how these early settlers spread themselves it is only necessary to read that twenty-five leading Simsbury families (eight of whom were Cases) had 218 children, 115 males and 103 females. Joseph Mills, Richard Case, Samuel Barber and Isaac Messinger, living near each other, had 40 sons, 39 of whom lived to manhood. 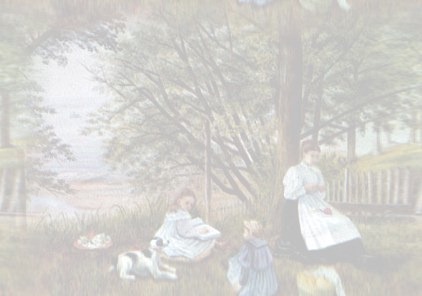 Rose Terry Cook tells a humorous story of several pages in Harper's Magazine for April, 1875, showing the modern prevalence of old families in the Simsbury region. Its title is "The Widow Case." A young Hartford lawyer takes the cars for Albany, through the Case corner of Connecticut. An old couple get on at Pekin (Canton), bound for Canaan, and when they get off they drop a photo of "Widow Case," showing a young and very attractive face. The lawyer picks it up and falls in love with it. On his way back he stops at Pekin, and asks his landlord if there is a Widow Case there. "Bless you," he says, "there ain't much here but Cases and Humphreys." Then the hunt begins, and he finds Widow Cases of all ages and conditions. The search continues for some months before a widow who matches the picture is found--and married, of course. We have record of ten marriages of Cases to Holcombs, eleven to Phelps, forty-two to Humphreys. Numerous other marriages occurred with Enos, Pettibones, Mills, Barbers and others, and seventy-two to other Cases-and these are but a small part of the list. The Cases seem to have been fond of each other. In 1746 it was "Voted, that the standing committee cause the drum to be beat on Sabbath days, to notify ye parish when to begin meeting." In March, 1696, the Selectmen issued the following order, "Elizabeth, wife of James Mills, you being now resident at your son's, John Matson's, these presents are to warrant you and admonish you to depart out of the bounds and limits of the township of Simsbury forthwith, as you will answer to the contrary, and you may not any longer reside here; and now do warn you to seek some other place for your residence, and pray you tak notice of this our warning who are the townesmen of Simsbury, In December, 1701, it was voted: "Whereas, the Towne of Simsbury being greatly damnified by Persons thrusting themselves into our Towne, which proves greatly to the Damage of the Towne; for ye prevention thereof, this towne do order therefore for the future: no Persons shall crowd and thrust themselves into our Towne to reside there above one month without liberty first obtained from the said towne or Townsmen upon the forfeiture of twenty shillings to the Towne." "Sarah Slater was born February the sixth day, 1716, at 11 o'clock at night, and baptized the 10th day--the 16 day thare apeared an uper fore toot, the 19th day at one of the clok after noon it came quite out." "On the 14th January, 1718, two men, Ephraim Buell and John Barber, his son-in-law, went to the West Mountain to hunt horses, where they perished. Their bodies were found and brought back on the 17th January." In 1718 "The town agreed with Steven Pettibone to sweep the meeting house for 15 shillings, he likewise is to dig the graves, also to prepare and carry water to the meeting house for the baptism of children." "1719, Feb. 28th. The Town order and agree that John Drak shall make Coffins for our Towns people." In January, 1725, the town voted to use all surplus town funds in teaching children to read and write. In December, 1701, John Slater, Sen., was employed as school master for the town, at forty shillings a month. The school was to be kept for three months each, at the Plain and at Weatogue. He was "to teach such of said towne children as are sent, to read, writ, and to cypher, or to say the rules of Arithmetick as are capable and designed by their parents to learn Arithmatick." In 1782 it was "Voted that the seaters shall dignify the pews and seats in this meeting house as they think fit." In 1781, "Voted that the Society desire Mess'rs. Theodore Hillyer, Elisha Cornish, Jr., and Job Case, Jr., to assist in tuning the Psalms on Lord's days." 1784, "Voted to allow the singers as much of the front seats around the galleries as they shall want." In 1741 " It was voted that any orthodox minister who has a right to preach the gospel, may upon the desire of a number of persons, with the consent of two of the Society's Committee, have liberty to preach in the meeting house on any day, not disturbing any other religious meeting." At a subsequent meeting "popish priests" were excluded from this license. 1773, April. "Voted to sing on the Lord's Day according to rules taught in singing schools in this and neighboring societies." But a new teacher brought in his choir on a Sunday and sang such a lively tune that Deacon Brewster Higley took his hat and left the house, shouting "Popery-popery!" There seems to have been a stray Case at Southold, L. I. Henry Case appeared there in 1658, and that year married Martha, daughter of Thomas Corwin, of Southold. The same year he was granted a house lot there. He built on the lot and the house is still standing and bears the date of 1647, and is called one of the oldest houses on the Atlantic coast. But it certainly was not built until after 1658. The tax list of Southold for 1675 has no Cases, but that of 1683 has Henry Case, 35, and Theopulos Case, 109. Henry had a son Theophilus. Hon. Joseph Wickham Case and his son, Alburton Case, both of Southold, and descendants of Henry Case, say that all attempts to connect their family with that of John Case, of Simsbury, have so far been unsuccessful. The Cases of Orange county, N. Y., think they go back to Henry Case, of Southold. The founder of the Orange county colony was John Case, 1742-1819. He went from Long Island toOrange county before 1765. The late Admiral Augustus Ludlow Case was a descendant of the above John. Several Case family traditions say that some of the Cases who remained in Rhode Island changed their names to Casey. But the ancestors of the late Gen. Silas Casey brought their name with them direct from Ireland. Irish genealogy abounds with Casey, Casses, Casse, Case, Cassy, Casie--many of them having coats of arms with one common feature on the shield, a hand issuing from a cloud. And it may be mentioned here that in old Gaelic "casi" is '' hand." Perhaps this is the origin of the family name. The Casey family, who were lords of Saithue, County Dublin, were dispossessed and scattered by DeLacy in the Anglo- Norman invasion. In this family the name of Casse is used, and the given names of John, William, Thomas, Stephen often occur. In the list of foreign refugees who settled in England and Ireland during the reign of Louis XIV. of France (1643-1715), is the name of De la Case. Among the English Cases prominent were John, of Norfolk county, an Oxford scholar and author, died 1600. Thomas (son of George), of Kent, an Oxford scholar and famous London preacher, 1598-1682. John, 1660-1700, a noted doctor of London, mentioned several times in " The Tatler." At a dinner where he was present, some one pointed at the doctor and gave a toast, "To the fools, your patients." The doctor replied, "Give me the fools, and I'll gladly give you the rest of the practice." Thomas, of Westchester, was granted a coat of arms in 1599. Richard, James, John, Thomas, Jonathan, Henry were of an old Lancaster family. These names have occurred often at Simsbury. Among the coats of arms of English "Case" and "Casse " families are a winged globe surmounted with a dove, and an arm and hand grasping a sword; and a Westchester family, an arm and hand grasping a buckle. The late Charles T. Case, of Nashville, Tenn., a descendant of John Case, found among his family relics a copper plate die of a coat of arms to Harry Case; on the shield a unicorn head, surmounted by a swan. He did not know who Harry Case was or where or when he lived. But the entire Case family have managed to exist comfortably with such coats and arms as they have been blessed with. To go back still farther into the dusty past, in 1887 the papers gave an account of an old Case castle on Case hill, near Belfast, Ireland, whose ruins some antiquaries wished to protect by a stone wall around them. When the job was done the antiquaries went to inspect it, and found that the contractor had used the stone of the castle for the wall, quite an Irish proceeding. In that famous old book, "Le Morte D'Arthur," printed by Caxton in 1485, we find in Chapter 2 of Book II. an interesting story of "the Castle of Case." King Pelles, "king of the foreign country," was at his castle of Carbonek, near the city of Corbin, and near the sea towards Ireland. (If you know where it was, I wish you would tell me.) King Pelles had for a guest Sir Launcelot, one of King Arthur's most famous Knights of the Round Table. King Pelles had a beautiful daughter named Elaine, but she was visiting at "the castle of Case." Sir Launcelot asked how far it was to the castle of Case, and they told him it was about five miles away. Then he determined to go there and see Elaine. He saw, and for the first time in his life was conquered. From their union sprang Sir Galahad, the knight par excellence, surpassing all other knights, even his noted father. The above scraps and fragments of history and tradition have been gathered during many past years by the writer, a descendant of old John Case through his youngest son Joseph, and are now given as a possible stimulus and guide to future explorers. He desires to express his obligations to "Goodwin's Notes" and Phelps' "History of Simsbury," in historical matters; and especially to Mr. Willard E. Case, of Auburn, N. Y., for personal facts about John Case. Mr. Case has spent much time on old John's tracks in this country, and made two voyages to England, largely to locate John's English ancestors, but without success. And, as before mentioned, to Charlotte Case, of Wethersfield, whose patient research has given us sixteen years earlier record than we previously had. A study of the coat of arms issued to "Harry Case" may help to find the English origin of the family. 1.Elizabeth--Married, 1st, Joseph Lewis; 2d, John Tuller. She had eight children. 2.Mary--Married, 1st, William Alderman; 2d James Hillyer. She had seven children. 3.John Case, Jr.--Married, 1st, Mary, daughter of Thos. Olcott, of Hartford, Conn.; 2d, Sarah, daughterof Joshua Holcomb, of Simsbury. He had seven children. His sons were John, Daniel, Jonathan. 4.William Case--Married Elizabeth, daughter of Joshua Holcomb. He had seven children. His sons were William, James, Joshua. 5.Samuel Case--Married, 1st, Mary, daughter of Jonah Westover, of Simsbury; 2d, Elizabeth, widow of Samuel Thrall, and daughter of Josiah Owen, of Windsor. He had thirteen children. His sons were Samuel, Nathaniel, Jonah, Caleb, Azrikrim, Benjamin, Pelatiah. 6.Richard Case--Married Amy, daughter of Dr. Philip Reed, of Concord, Mass. He had eight children. His sons were Richard, Timothy, Edward. 7.Bartholomew Case--Married Mary, daughter of Lient. Samuel Humphrey. He had nine children. His sons were Thomas, Amos, Isaac, Abraham. He lived on the old homestead at Weatogue. 8.Joseph Case--Married Anna, daughter of James Eno, of Windsor. He had eight children. His sons were Joseph, Jacob, Benajah, Josiah, Hezekiah, David, Joel, and a son who died an infant. 9.Sarah Case--Married Joseph Phelps, Jr., of Simsbury. She was his 2d wife, the 1st being a daughter of Joseph Collier, of Hartford. Sarah had two children - Sarah, Damaris. Joseph Phelps, Jr.'s 3d wife was Mary, daughter of Richard Case. 10.Abigail Case--Married Joseph Westover, Jr. She had four children. So old John's family of ten children had increased to eighty-three. Of the sons, John, Jr., was a member of the General Assembly ten sessions, Richard one, and Joseph twenty.